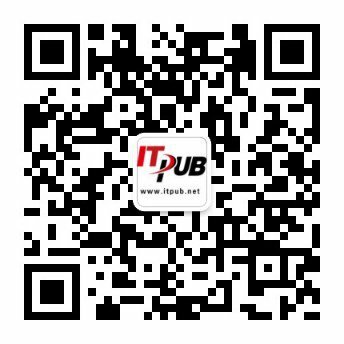 大家知道, 在 Windows 平台 命令行中的 SQL*Plus 有命令行历史回调的功能,在SQL*Plus工具下面，可以利用键盘的"向上向下"箭头键对命令行的进行回调.而在Linux上则没有该功能(虽然 Shell 可以做到这一点，但是 SQL*Plus 不可以). 而该功能对于CLI爱好者来说几乎是不可缺的,不知道为什么 Oracle 不把这个功能加进来.不得而知了. 一些SQL*Plus 的替代产品(如 gqlplus 以及 yasql )具备command-line editing 和Command history的功能, 但是这些产品的开发进度较慢--有的甚至已经停止了更新. (参见: gqlplus - http://sourceforge.net/projects/gqlplus 以及 yasql - http://sourceforge.net/projects/yasql/ 等 SQL*Plus 替代工具 ). 该工具叫做 uniread - http://sourceforge.net/projects/uniread/ ) ,熟悉Linux下变成的朋友可能看到这个名字已经想起了一些东西:readline . 不错,该工具就是利用GNU的readline库来完成我们的需求的. - adds full readline support (command editing, history, etc.) to any existing interactive command-line program. Common examples are Oracle's sqlplus or jython. uniread will work on any POSIX platform. with Perl. 其中GNU readline 上面的网页在我的机器上打不开(不可访问? ),如果你也是同样情况,可以到 http://www.gnu.org/directory/readline.html 这个页面下载. 注: 以上的命令行操作所在绝对路径为了方便而省略,你的环境肯定会和我的不同,此外,建议使用普通用户编译,然后用 root 进行 make install . 你可以做个sqlplus 的别名 ,uniread的使用是透明的,是不是很方便了? 不要忘了:这个工具是有通用性的,不止是 SQL*Plus 可以这样用,其他类似的命令行程序也能如此的.